"...perfect not only for thoroughly understanding the basis of pathology, but also for looking up specific conditions." 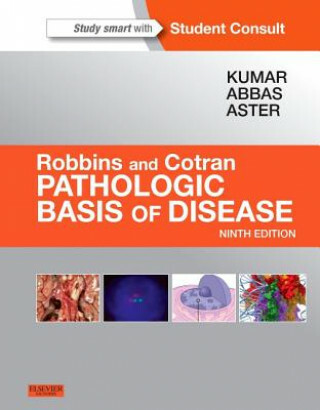 (Medical Student Review) Dependable, current, and complete, Robbins and Cotran Pathologic Basis of Disease, 9th Edition is the perennially best-selling text that you'll use long after your medical student days are behind you. A world-class author team headed by Drs. Vinay Kumar, Abul Abbas, and Jon Aster, delivers the latest, most essential pathology knowledge in a readable, interesting manner, ensuring optimal understanding of the latest basic science and clinical content. High-quality photographs and full-color illustrations highlight new information in molecular biology, disease classifications, new drugs and drug therapies, and much more.